Safaricom Limited has a powerful slogan that says, great things happen when people come together. 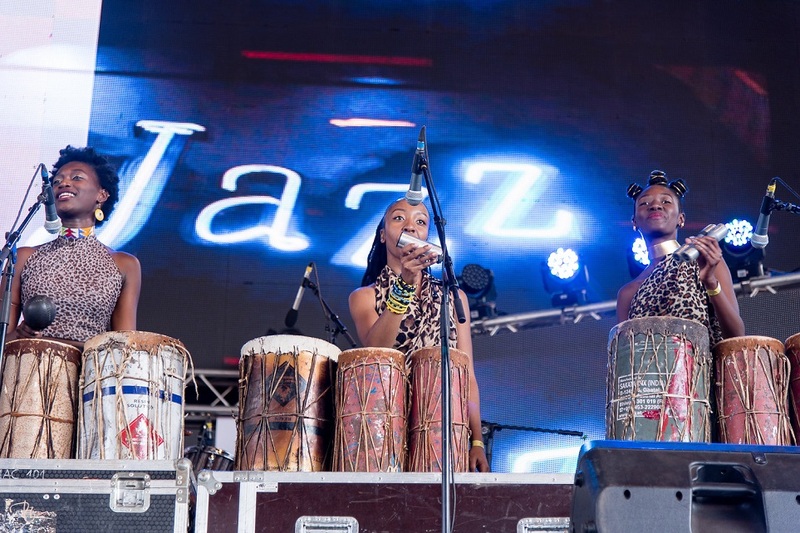 On the 25th of February, jazz aficionados thronged the Kasarani training grounds to experience the Safaricom Jazz Festival. 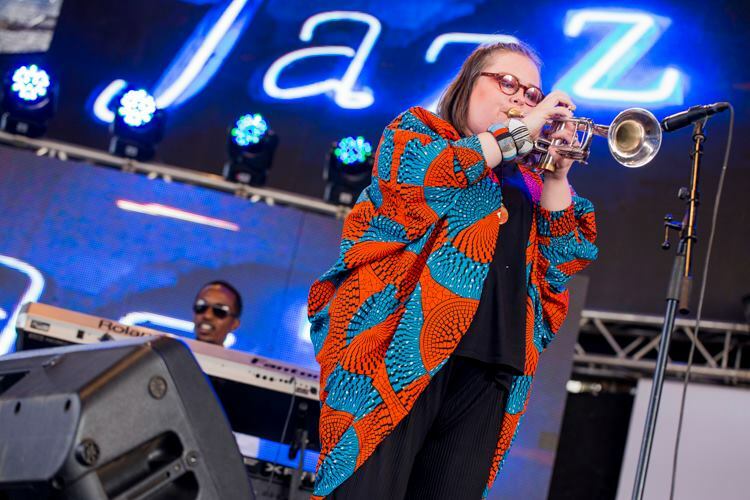 The Safaricom Jazz festival was celebrating its 5th year from what started off as a one-week international festival in 2013 and became a 3 part event in 2014/ 2015 and has grown to a year-long event with 4 major events through the year. 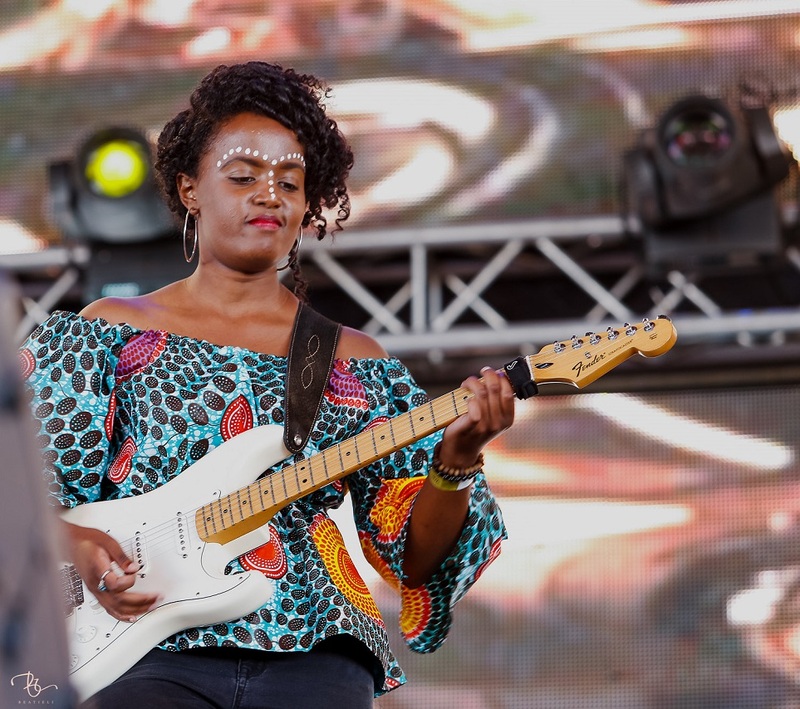 Safaricom Jazz @ 5 was a special edition, as it offered the audience members a buffet of tantalizing music from Blues, swing to our very own Ohangla and Mwanzele. It was a riveting experience to see and dance our hearts out to the sounds and rhythms displayed by the various performers and acts. 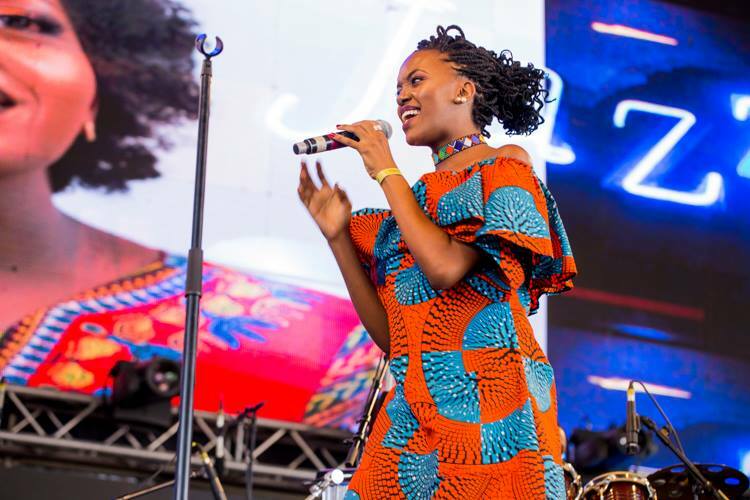 Without a doubt, the gender imbalance in the Kenyan jazz scene is pronounced; women are hugely underrepresented in jazz, especially instrumentalists. It was awe-inspiring to see, the rise in the number of women represented on stage; from Gloria Bosman to the Femme Fusion ensemble. 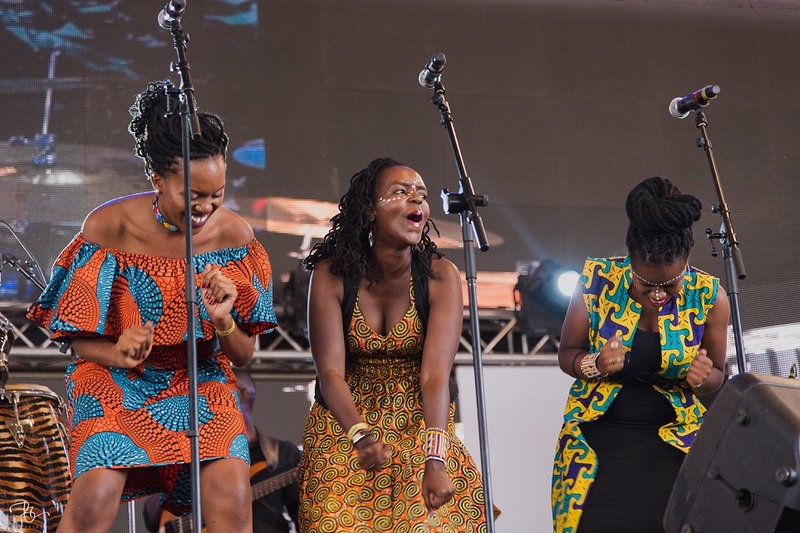 During the Safaricom Jazz @ 5, the extraordinary happened; Femme Fusion ensemble burst into the scene with such vivacity and energy. It felt like a moment of progress. 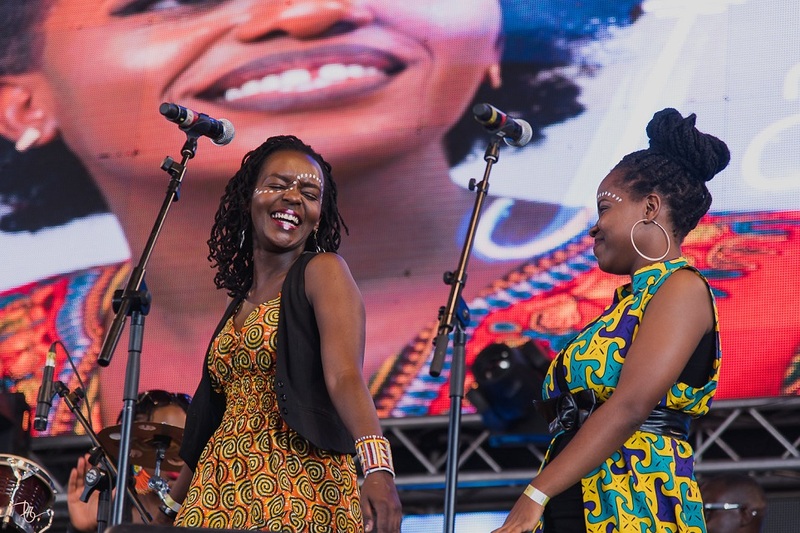 Femme – Fusion is a collaborative project put together by the British Council East African Arts programme. 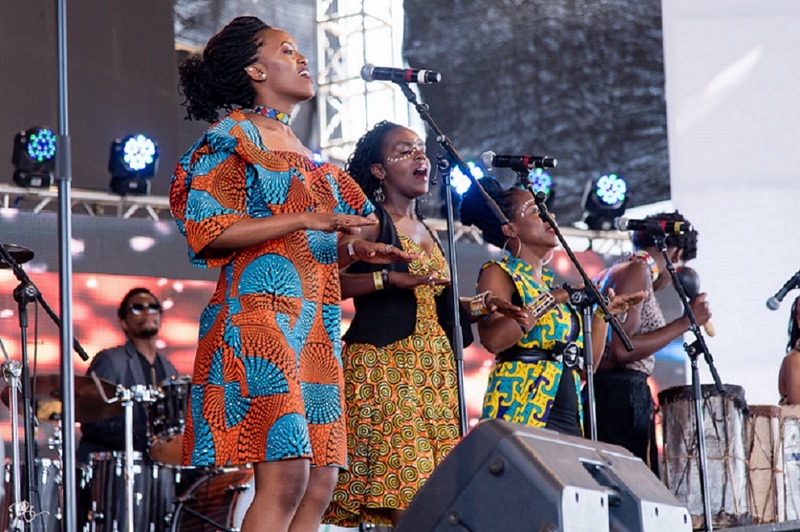 East Africa Arts is the British council’s framework for working with Kenya, Uganda, Tanzania, Rwanda, Ethiopia and the UK. 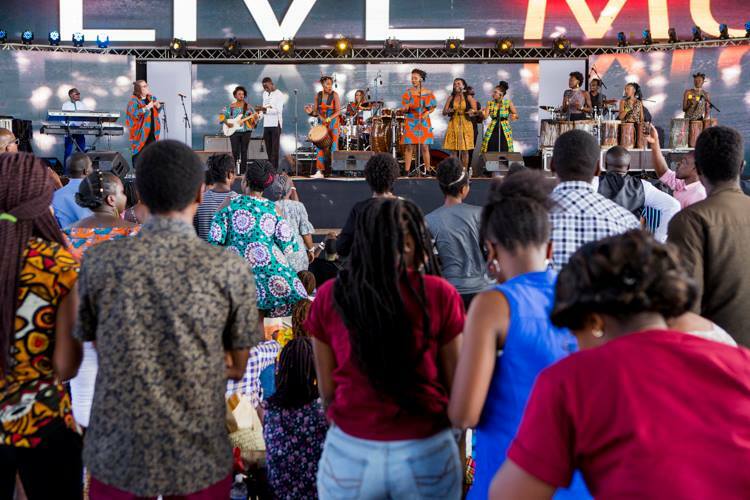 Through three strategic programmes (Creative Hustles, new Art new Audience & Mobility programme) East Africa Arts aims to: create new art to showcase to new audiences; share skills of creatives; and ignite partnerships between the creative sectors of the UK and East Africa. 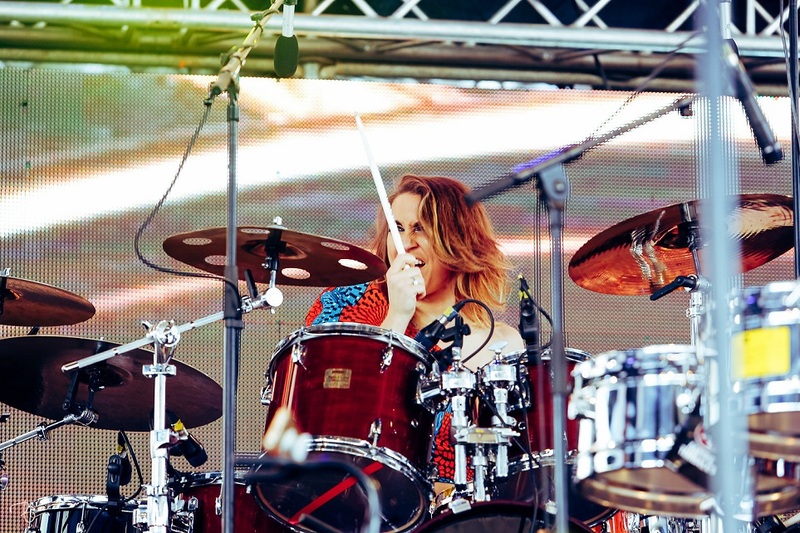 Femme Fusion percussive rhythmical beats turned people’s attention away from the ‘jazzy’ melodies that were being performed at the festival, offering authentic, captivating songs from their diverse native homes. Their sound snapped with color, defining the African rhythmic fabric. The beauty of their performance was the communal input each and every girl gave, giving their performance the infectious joie de vivre and entertaining energy. The elated performance was colored with chants of “Sigalagala Sigalagala!” “Girls we run this mother**** yup!” That glided over knots of polyrhythms. 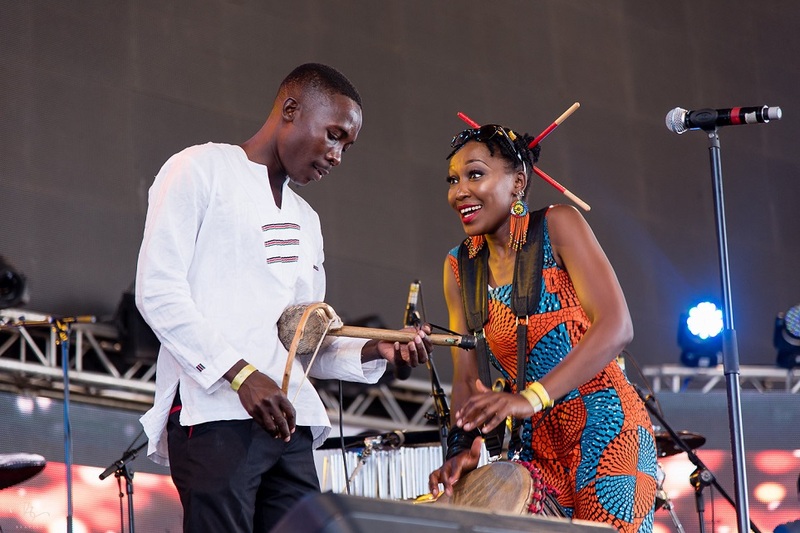 Traditional African music has grown in popularity rapidly over the years, unlocking the inspiring and therapeutic qualities of African rhythms and melodies. 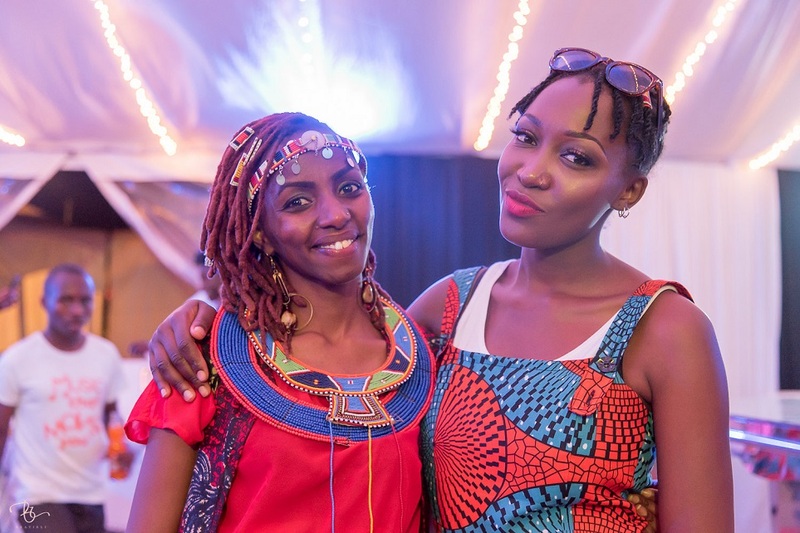 The Femme Fusion, performed a traditional folklore from the Luo community titled Sigalagala. The piece composed by Kasiva Mutua evoked a deep meaning. Kasiva, who is not ashamed to say she is a village girl, wrote the piece to celebrate death. “Sigalagala, is a happy and sad song at the same time, quite paradoxical I know”. Sigalagala which means Ululation is a romantic piece that celebrates the death of her lover. Kasiva a village girl, falls in love with a handsome man who dies tragically. Kasiva’s lover appears in her dream and assures her all is well, in the lyrics ”biro dhi maber”, Kasiva is not ought to mourn his death. Kasiva’s lover advises her to host a party and serve traditional brew. Kasiva, is ought to smile and ensure people admire the gap between her teeth. Additionally, the song Sigalaga brings out a strong message of unity amongst Kenyans. 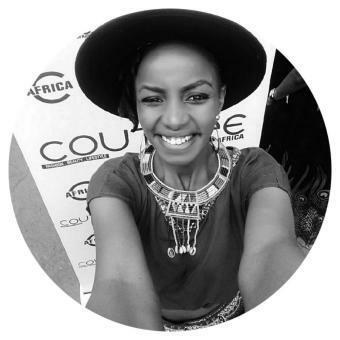 Kasiva, who hails from the Kamba community, strived to write the piece in the Luo language. The intention of doing a Luo piece instead of her native language was to show the audience that as Kenyans we are one. Tribalism should never be a hindrance to living communally. “Putting the pieces together, we knew it was going to be fantastic. We didn’t anticipate that we would blow people’s minds away” Kasiva added. The Femme fusion ensemble wowed the crowd with their exhilarating performance befitting the 5th edition of Safaricom Jazz. Girls who run the world!! It is absolutely true. Girls run the world.